J. Roald Smeets – A panegyric is a formal public speech, or (in later use) written verse, delivered in high praise of a person or thing, a generally highly studied and discriminating eulogy, not expected to be critical. It is derived from the Greek πανηγυρικός meaning “a speech fit for a general assembly” (panegyris). In Athens such speeches were delivered at national festivals or games, with the object of rousing the citizens to emulate the glorious deeds of their ancestors. The most famous are the Olympiacus of Gorgias, the Olympiacus of Lysias, and the Panegyricus and Panathenaicus (neither of them, however, actually delivered) of Isocrates. 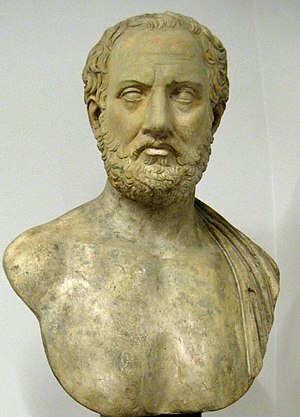 Funeral orations, such as the famous speech put into the mouth of Pericles by Thucydides, also partook of the nature of panegyrics. The Romans generally confined the panegyric to the living, and reserved the funeral oration exclusively for the dead. The most celebrated example of a Latin panegyric, however, is that delivered by the younger Pliny (AD 100) in the senate on the occasion of his assumption of the consulship, which contained a eulogy of Trajan considered fulsome by some scholars. Towards the end of the 3rd and during the 4th century, as a result of the orientalizing of the Imperial court by Diocletian, it became customary to celebrate as a matter of course the superhuman virtues and achievements of the reigning emperor, in a formally staged literary event. In 336, Eusebius of Caesarea gave a panegyric of Constantine the Great on the 30th year of his reign, in which he broke from tradition by celebrating the piety of the emperor, rather than his secular achievements. A well-delivered, elegant and witty panegyric became a vehicle for an educated but inexperienced young man to attract desirable attention in a competitive sphere. The poet Claudian came to Rome from Alexandria before about 395 and made his first reputation with a panegyric; he became court poet to Stilicho.